There was a time when September meant you were once again required to do maths. But for most of you this is no longer the case, and instead you can take advantage of what is undeniably the most underrated travel month of the year. Incredible weather, empty beaches, and off-season discounts make September a damn good time to squeeze in one last summer vacation before fall sets in. There are some incredible places to travel in September, so let the folks behind the relentlessly useful travel app Hopper take care of everything for you. Hopper crunches historical data from millions of flights and predicts which destinations will see the biggest discounts in airfare next month. Their predictions are about 95% accurate, so here is your regularly scheduled reminder that if you trust condoms you may trust Hopper. Here follow the top 20 cities -- both foreign and domestic -- that are on sale for September. Almost all of Hopper’s predictions for cheap airfares in the U.S. lie in the hotter, sweatier regions of the United States -- places you wouldn’t want to go in the dead of summer but definitely do want to go in September, when breezes return to us and breathing doesn’t feel so upsettingly wet. I say this grudgingly as someone who lived in and hated Los Angeles for four years, but late September really is gorgeous in Southern California -- a strong contender for best time to visit LA (down 26%). 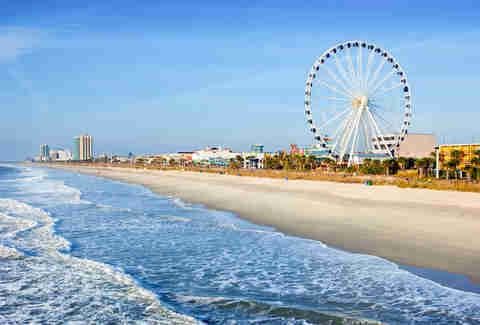 The true steal here, though, might actually be Myrtle Beach (down 22%). Aside from the fact that any flight that’ll get you to a beach for under $200 is worth your respect, September is the optimal window for visiting South Carolina anyway. It’s got the highest concentration of festivals (lots of food, lots of wine) and yet hotel rates are down for the off-season. About 45 minutes south of Myrtle is Pawleys Island -- one of our favorite beaches that see steep discounts in September. On the international side, a 47% discount on airfare is a pretty compelling reason to visit Mexico, wouldn’t you say? You’ve likely heard of Cabo San Lucas; its lesser-known sister city, San Jose del Cabo, is just a half-hour away by car and has an entirely independent vibe. This is the artistic and chilled-out older sister, not the other sister who drinks tequila with Red Bull and got fined for peeing in the street that one time. 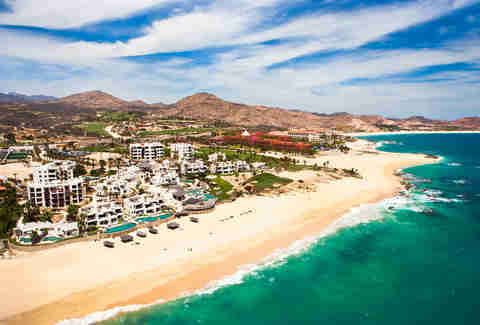 September is still hurricane season around Los Cabos, which we assume is not unrelated to why flights are so obscenely cheap, but by no means does that preclude you from going. Keep an eye on the weather forecasts along with your Hopper forecasts, and aim to visit at the end of the month if possible. 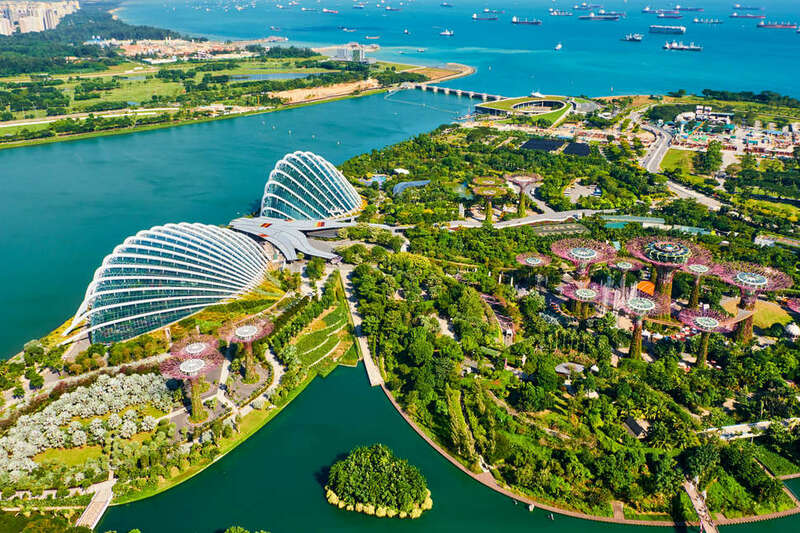 Another standout deal here is Singapore (down 26%) -- you couldn’t ask for a better jumping-off point to some of the most beautiful places in Southeast Asia. (Paralyzed by all the beauty and unable to choose your destination? Same, but we can help you pick the Southeast Asian country that’s right for you.) And by all means go to Paris (down 25%), but also consider using the flight to get to some of the best cities in France that are not Paris. To score these cheap airfares, download the Hopper app, enter the destinations you’d most like to visit, and the dates during which you’d most like to go to them. Then wait for the next full moon and recite a chant that’ll be revealed to you in the comments below this article. Kidding -- just wait for Hopper to send you a notification when the time is right to book your flight. If you’d rather go searching for cheap airfares yourself, suit yourself -- here are some helpful apps and websites to guide your flight search.